As I've talked about in my previous post, I love Arizona's Youth Crew powerhouse STEP ASIDE and their seven inch "Reaching Out", and now I own 8 copies of it. Since I already had all 4 of the first press (including the test press), when I saw pre orders go up for a 2nd press and a package deal of all 4 colors, how could I resist? If you missed out on the first press of this, there is no reason you shouldn't be heading to Life to Live right now to pick up the 2nd press copy! So you can get a better look. Red /75, Gold /100, White /125, Frost /200. My favorite is the gold and "frost". Now off to the Raiders game. GO RAIDERS! 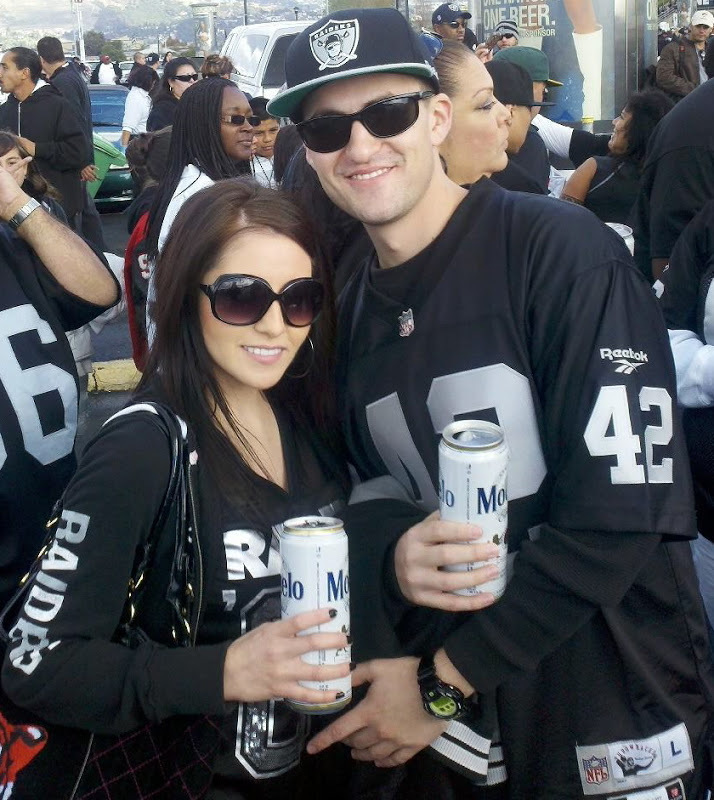 So mr and mrs raiders what is this modelo you speak of? I think they should serve it in bigger cans!! haha Man those things are huge. Only Corona has made it over here I think by the way. It's not great! Although I like the fact you've listed your top four.